The following study represents an analysis of the statistics associated with Galway’s charge to the 2017 All-Ireland title. The purpose of the study is/was to determine what statistical insights we can gleam from Galway’s successful campaign. The Tribesmen emerged from division 1B of the Allianz National Hurling League and walloped Tipperary in the decider 3-21 to 0-14. Galway then dismantled Dublin (2-28 to 1-17) and Offaly (0-33 to 1-11) before seeing off Wexford (0-29 to 1-17) in the Leinster final. Significantly, Galway picked their way around some sophisticated defensive systems during the Leinster campaign: a sweeper, a double sweeper and a sweeper combined with a three-man midfield in the provincial final. Micheál Donoghue’s fast-improving team then dethroned defending All-Ireland champions Tipperary (0-22 to 1-18) before getting the better of Waterford in the final (0-26 to 2-17). Galway were primed by manager Micheál Donoghue to land the Liam MacCarthy Cup. Goalkeeper Colm Callanan is a proven game manager while Adrian Touhy, Daithí Burke and John Hanbury manned the full-back line. Pádraig Mannion, Gearóid McInerney and Aidan Harte were outstanding at half-back while Johnny Coen proved an able foil to the outstanding David Burke in the middle of the field. Cathal Mannion and Joseph Cooney operated at half-forward while Joe Canning was employed as a drift centre-forward. Inside Donoghue positioned Conor Whelan and Conor Cooney while one of Jason Flynn, Niall Burke, Pádraig Brehony and Jonathan Glynn worked out. Crucially, the individual players had a system they could lean on – Galway were set up to counter-attack with both midfielders defensively inclined and both wing-forwards working out the field while roving centre-forward Joe Canning also featured in the middle third. A huge work rate was demanded from the team’s forwards because it served a tactical purpose. On re-starts well-coached inter-county defences are hard to negotiate, but on the counter-attack you enjoy an opportunity to catch the opposition with their pants down. The Galway forwards worked tirelessly to turn over opposition defenders or, at the very least, contaminate the opposition’s forward deliveries. Due to such work rate the opposition’s inside forwards were regularly starved of quality possession while the Tribesmen also hit their opponents with a critical double whammy. Such work rate acted as a playmaker. Even if the opposition managed to clear their lines they did so under duress with deliveries reduced to the rushed and hanging variety which presented the Galway defence with an opportunity to win the ball, come forward, find key playmaker Joe Canning or deliver a tailored stick pass toward to a pair of inside forwards who worked from inside to out. Galway did the work and were then structured in such a way that they could take advantage of a opposition defence pulled out of shape by their efforts to escape their own half just moments earlier – a devastating game cycle. Galway rarely made the mistake of dropping the ball on the opposition half-back line. Instead, they pulled opposition half-backs out of position and hurled their way around them. The Tribesmen successfully built a bridge between how they wished to defend and how they hoped to attack. Galway worked hard, were smart about how they went about their business and then their hurling finished the job. Typically, when a game of chess is reported by specialist media observers the analysis is not concentrated on the killer final move, but, instead, on the sequence which set the inevitable end game in motion. Similarly the most significant drama in hurling often occurs during the build up to scores – what unfolds in the middle third of the field is often much more interesting than the actual goals and points scored. Experienced analysts are, rightfully, suspicious of possession statistics with specific relation to hurling contests – possession statistics illustrate how you played, but not how well you played (such statistics do not take into account sterile possession). Take the Leinster quarter-final between Galway and Dublin for example – Galway beat Dublin 2-28 to 1-17 scoring 2-23 from play (Dublin 1-10). Galway generated 38 shots at the posts and created five goal-scoring opportunities, but Dublin enjoyed marginally more possession 222-221 (50-50%) and only managed to create 20 shots. Dublin (119) also completed more passes than Galway (111) and registered a higher passing success rate (78-77%), but still lost by 14 points. A similar pattern emerged in Galway’s contests with Tipperary and Waterford – the Tribesmen enjoyed slightly more possession against Wexford (51%), but lost out to Tipperary (47%) and Waterford (44%) – an extraordinary pattern which illustrates how powerful Galway were on the counter. To Galway, it seems, the position of the ball on the field of play was more significant than actual possession of the ball. During Tipperary’s successful 2016 All-Ireland campaign the Premier County won the turnover-in-the-tackle battle in every competitive game that the team played. Similarly during the 2017 campaign Galway won the turnover count against Waterford (23-15), Tipperary (19-18), Wexford (15-14) and Dublin (20-19). What is interesting, however, is that Galway did not appear too concerned about disrupting the opposition puck-out – the Tribesmen, for example, won just 33% of the Waterford re-starts. Galway dropped off and allowed the opposition goalkeeper to take short puck-outs – perhaps it is fair to say that Galway were prepared to defend the long delivery into their half of the field and the second ball following the opposition’s short puck-out; that way Micheál Donoghue’s men always had a solid shape, were ready to win the ball and then spring forward on the counter. Please note that puck-out success rates do not correlate with winning elite hurling matches. Irrespective of what anyone may argue about tactics or the significance of player talent the main thing is still the main thing in hurling – if your team does not set the terms and conditions of the game in a physical sense you are asking for trouble. And, this especially applies to forwards who determine the quality of ball that is permitted to enter your half of the field. A persistent pattern to the Galway approach in 2017 was the side’s determination to lock down the middle third of the field. This facet was vital to Galway in a defensive sense, but also in terms of attacking since pressure on the ball forces rushed clearances which presents your defenders with an opportunity to intercept opposition deliveries. ‘Work rate ratio’ is the key stat in this regard – this is a concept developed by analyst Barry Cleary (click here for a detailed explanation of work rate ratio). Essentially, work rate ratio indicates how a given team has performed in terms of their determination to tackle the opposition in proportion to the actual possession enjoyed by the opposition. As a rule of thumb if a team registers a work rate ratio of two or less (the lower the better) the team is doing very well i.e. the opposition enjoys two possessions of the ball on average before they get tackled, hooked, blocked or turned over. As you can imagine in that environment the opposition’s good decisions soon start to run out. If, for example, you look at Cuala’s performance during the 2017 All-Ireland club series you will find that the Dubliners managed a work rate ratio score of 1.83 against Slaughtneil and 2.15 against Ballyea which is outstanding. Although Galway were prepared to allow the opposition to enjoy easy possession deep inside their own half further out the field the Tribesmen hit hard. Indeed, Galway won the work rate ratio battle against Waterford (2.67 to 3.3), Wexford (2.75 to 3.34) and Dublin (2.74 to 3.4). Galway maintained their intensity against Tipperary (2.68), but actually lost the work rate battle to the defending All-Ireland champions (2.56). The cumulative effort of such a work rate (allied to the structure of the side) allowed the Galway half-backs to play zonally and attack hanging opposition deliveries. In the league final, for example, Galway worked like dogs and as a result intercepted Tipperary deliveries 48 times. Galway dominated possession to the tune of 57% and restricted Tipp to a passing percentage of just 58% (Galway 72%). Galway won the game 3-21 to 0-14, but could have enjoyed a more significant margin of victory – Galway’s shot success rate at Páirc na nGael, Limerick was just 44% (16 wides and three shots dropped short). Galway did not use their inside line well enough on that occasion, but improved their approach play as the season progressed. When Galway encountered Tipperary once more in the All-Ireland semi-final the Tribesmen intercepted Tipperary 45 times (a significant number when compared to the 30 that Galway coughed up in the same game – that’s a 15-ball differential in a game decided by a single-point). Tipperary’s passing success rate amounted to just 66% (75%-plus is a solid par for an inter-county team). Galway’s work rate also had a telling impact on Waterford’s attacking play. In the All-Ireland final the Déise dominated possession of the ball (56%) and completed 80% of their passes – Galway appeared to allow Waterford sterile possession in distinct areas of the field. Derek McGrath’s Waterford employ their sweeper system as a potent attacking platform. Against Cork, for example, in the Munster championship Waterford created 31 shots and five goal-scoring chances; against Wexford 27 shots and two goal-scoring opportunities; against Kilkenny 30 shots and five goal-scoring chances and against Cork in the All-Ireland semi-final 28 shots and five goal-scoring chances. In the All-Ireland final, however, Galway restricted Waterford to 18 shots from play and two goal-scoring chances. To appreciate Galway’s performances in 2017 a review of 2016 is required – the Tribesmen lost last year’s semi-final to Tipperary (2-18 to 2-19) despite winning the work rate battle (1.81 to 2.05 – 29 more tackles), dominating the opposition puck-out (54%), performing well on their own re-start (58%), enjoying a 74% passing success rate and dominating possession (55%), but Micheál Donoghue’s men also registered a poor 45% shot success rate. In 2017 Galway’s approach play improved significantly. Galway registered a 44% success rate in the league final, but it was noteworthy that Galway created 34 shooting opportunities and four goal-scoring chances. This year it was also notable that Galway adopted a more progressive style which often featured one pass out of the contact zone before a quality ball was delivered forward – against Waterford, for example, Galway favoured the hand pass over the stick pass (42-41). In the All-Ireland final Galway created 26 shooting opportunities from play and converted 77% of their shots – a significant improvement given the profligacy which, arguably, cost the Tribesmen an All-Ireland title in 2016. 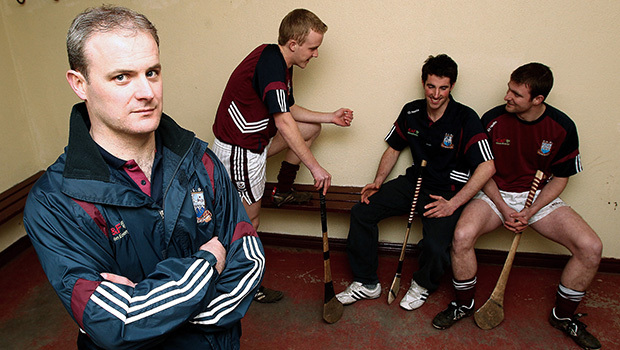 Galway did not play traditional hurling – the individual players did not perform their roles in a manner which could be described as traditional. A new vocabulary, for example, is required to accurately describe the role played by Joe Canning this year (the Portumna star did not play centre-forward). Simple: we need a new language to describe and discuss what is happening in elite hurling.